We’re coming to the end of one of the busiest weeks of the year here in Chamonix. Plenty of folk out enjoying the early season snow. 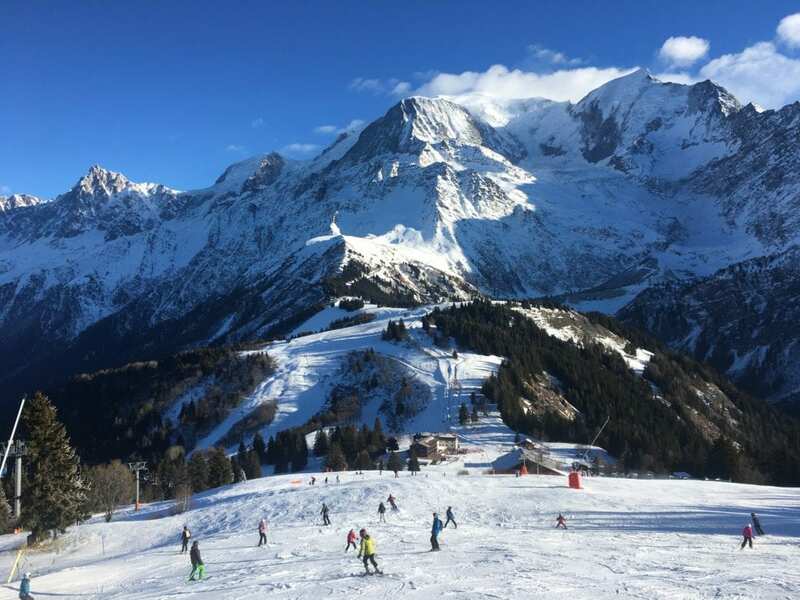 Although there isn’t much fresh powder around at the moment, there’s still lots to ski and the pistes are in pretty good condition. Above 2500m the snow cover is good for the time of year, and although firm gives quite good skiing. We’ve had some great ski touring on the Argentiere glacier this past week, sticking to the less crevassed routes of course. The col d’Argentiere was particularly good, but touring the the closed top station is a pretty good outing as well. 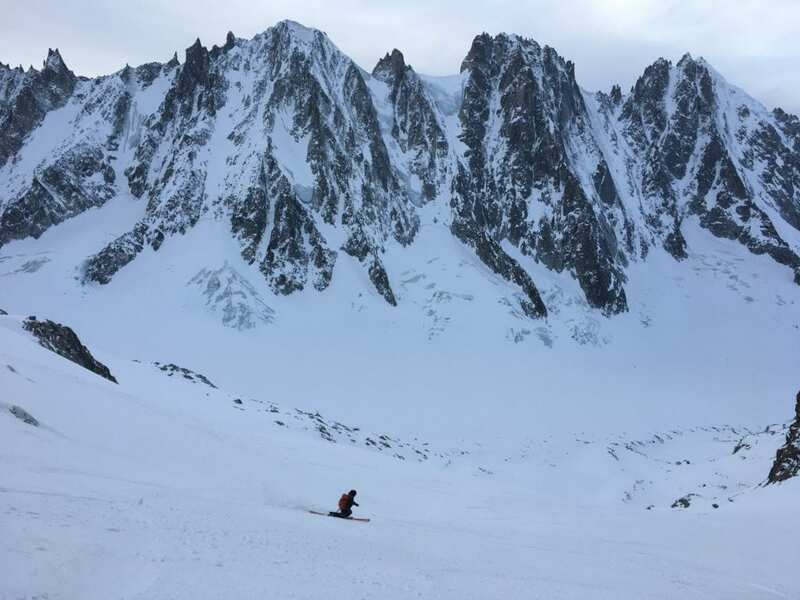 Elsewhere people have been skiing the Toule glacier from the SkyWay lift (Courmayeur) as well as some early descents of the Vallee Blanche. 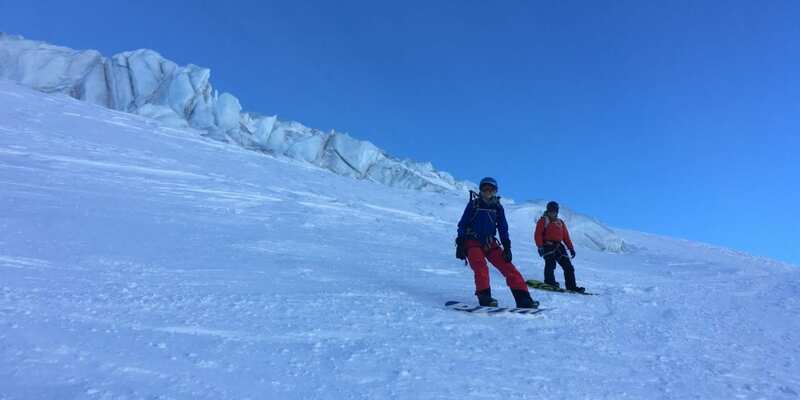 We could obviously do with some more snow cover on the glaciers and I would say the Vallee Blanche is still reserved for experienced skiers in small groups for a while yet. The Aiguille du Midi arete is only partially equipped as well. So some crampon skils are needed. 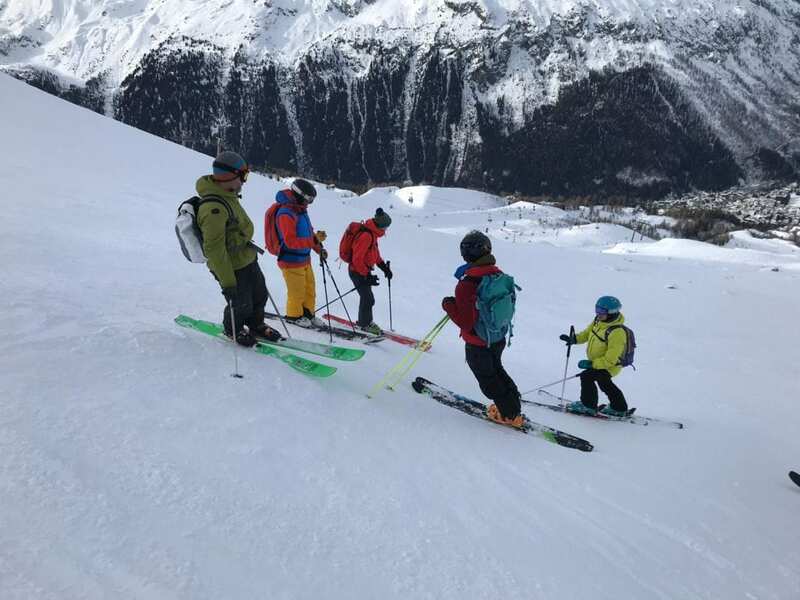 Although we don;t have any soft snow at the moment, the avalanche risk is fairly stable and people have been touring on routes that are normally reserved for later in the season. Plenty of folk out in the Aiguille Rouge, on Mont Buet and through the Col du Passon. There’s no new snow in the forecast at the moment. But still plenty of options for skiing, especially if you like walking uphill a little bit. Steph making some turns below the Col d’Argentiere. 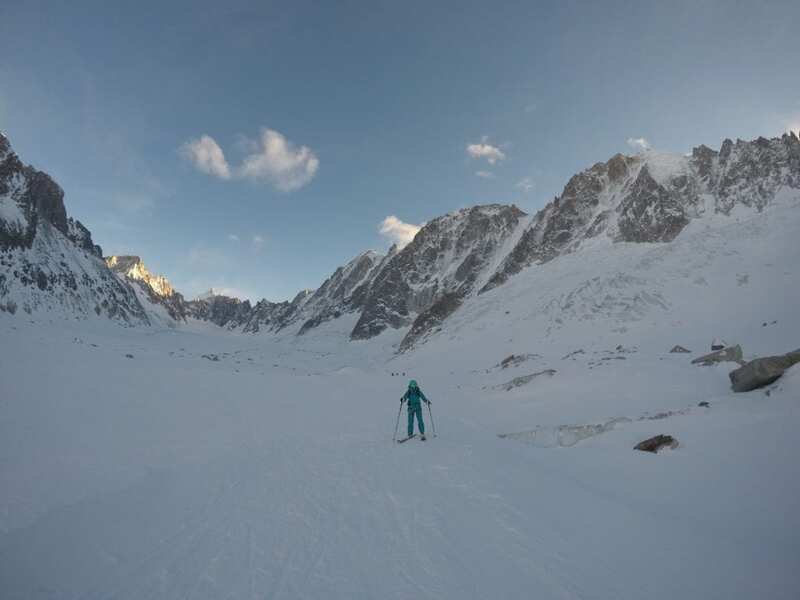 Alisha crossing the flat ground on our way out of the Argentiere basin after ski touring. 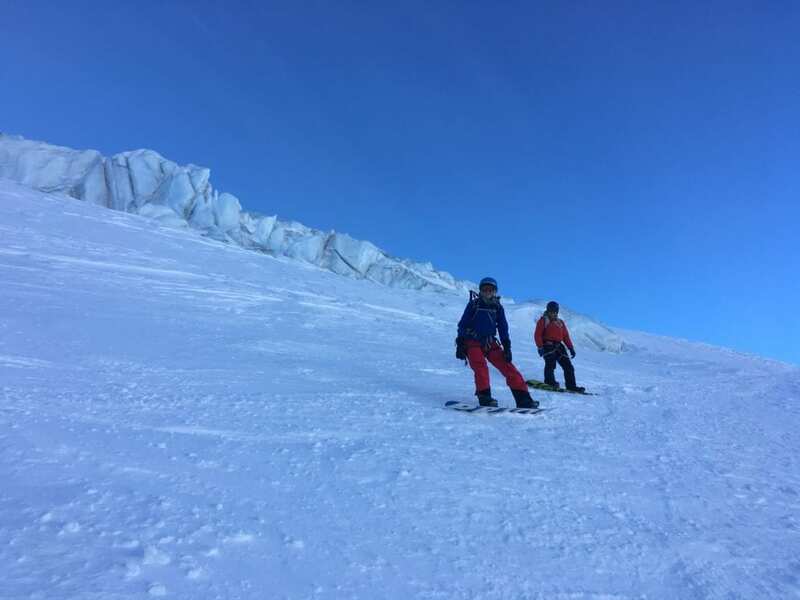 After split boarding to reach the glacier, Will and Sophie enjoyed the quiet descent.